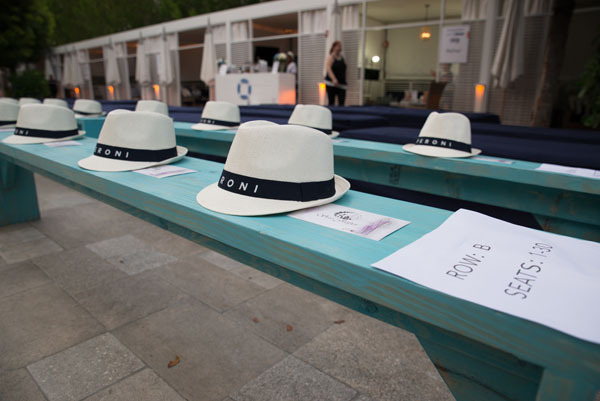 The swim industry once again converged in Miami for Swim Fashion Week Miami Beach produced by Funkshion. The 2018 collections from some of the most sought-after brands in swimwear did not disappoint. The star-studded events kicked off on Thursday, July 20th with America’s Got Talent host Nick Cannon as the celebrity DJ for the Art Hearts Fashion show and continued with the likes of Leonardo DiCaprio, singer Nicky Jam, Tyson Beckford, super models Chanel Iman, Shanina Shaik, Charlotte McKinney, Ariadna Gutiérrez and several others were spotted on the runway and in the front rows at shows including Beach Bunny, Luli Fama, For Love and Lemons, Blue Life by Planet Blue, Sinesia Karol, Aquaclara, Agua Bendita, Lolli Swim to name a few. Celebrity DJ Taryn Manning rocked at The Nautilus Hotel for the U.S. launch of Scandanavian beauty brand, The Perfect V’s debut of its first-ever runway show with swimwear from Scandanavian designers: North, Demadly, Gestuz, Hanne Bloch & Ganni.